Small Business Loans, what is there to know about them? If your business needs a cash boost, you may be considering a business loan. Take a deeper look so you can find out how small business loans work and compare some of the different options available to UK Businesses. A business loan may not always be the best choice in today’s crowded funding market place. Directors should take time to view other alternative funding options that are available to them before committing to any small business loans. Business loans ranging in size, from £5,000 to £200,000, a small business loan can be the solution for any business need, whether you need to purchase new equipment, renovate office space, replenish your stock or simply need an influx of capital as a financial cushion during a slow season. Possible an alternative on the UK funding market knows as a Merchant Loan Advance maybe a solution. This guide explains the dos and don’ts of applying for a small business loan. Whether you’re a start-up or not, make sure your business is ready for investment. Ensure you have reached the point where you are ready to expand your business – or to get it wholly off the ground. Don’t wait until you’re in a bad spot and desperately need finance before you apply. Average lead time for small business loans to complete is three to six months. A cash advance loan is a loan for business purposes. The type of business loan you apply for is likely to depend on your business circumstances and why you need the money. Cash advance loans tend to be used by merchants that have the facility to take card payments. This is due to the fact that a card payment terminal is needed for a cash advance loan. This type of alternative small business loan has grown in popularity in the UK over the last ten years. Businesses are seeing the benefits to them due to their flexibility and speed to obtain the cash advance loan product. You can apply for a start-up loan to help get your business off the ground. The Start Up Loans Company provides government-backed unsecured loans to people who are starting or growing a business. Short-term loan to help ease cash flow issues, or a long-term loan to fund the expansion of your business, for example. Small Business Loans, when to get one? As a small business, you may be worried about applying for a small business loan. You should worry too much should your bank had turned you down for a traditional business loan. Your business maybe poor or you may’ve have failed once before. Today’s strict lending criteria means it can actually be quite difficult to get a business loan from a bank. It’s common knowledge that the high banks are not lending to small businesses. The past effects of the credit crunch and new banking regulations are still being felt years later to this day. Lots of firms aren’t suitable for traditional high street bank lending. If your plan is to approach a major bank for a business loan. The bank will want to see a strong balance sheet, significant security usually your home and a long trading history. For those that are eligible for bank funding, it’s usually the cheapest option in terms of interest rates. Many firms find it’s a long application process that leads to a ‘no’. Many business have started to think out side the box and look at alternative business funding. You may need a small business loan because you need vital capital to invest in your expansion plans for your business. Funds maybe needed to cover your working capital due to an unexpected bill which can often put finances back for a few months. We want you to get the right small business loan for your business. Hopefully with the best terms, in a fair and transparent way. From preparing mentally, to building a strong application, to getting more capital as your business grows, we want to give you tools that work well so your business can grow well, well next thing to do is find the best business loan for your company. Now that you have an overview of what are your business funding options. Next comes how do you find the best business loan for your company. You may have noticed the variety of choices. Banks, and online alternative lenders provide small business loans that can specifically address your position and your business needs. The most important thing is to keep your eyes wide open, a thorough research in this case is highly recommended. Although the amount of information may seem overwhelming, do not underestimate its power. Finding the best business loan depends on knowing what your options are. If you wish to get a professional advice on what are the best business loan options, fill in the contact form at the bottom of the page. We will provide you with up to four, free and non-binding quotes to help you choose! Completely free of charge! 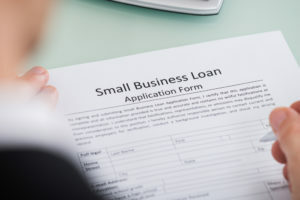 Many small or medium-sized businesses find themselves in a situation where they will need to apply for a business loan. You are not the only one! To find out if a merchant cash advance can help your business to grow simply complete the online enquiry form.